For the admission of new member states to the European Union, see Enlargement of the European Union. The Admission to the Union Clause of the United States Constitution, often called the New States Clause, found at Article IV, Section 3, Clause 1, authorizes the Congress to admit new states into the United States beyond the thirteen already in existence at the time the Constitution went into effect. The Constitution went into effect on June 21, 1788, after ratification by 9 of the 13 states, and the federal government began operations under it on March 4, 1789. Since then, 37 additional states have been admitted into the Union. Each new state has been admitted on an equal footing with those already in existence. Of the 37 states admitted to the Union by Congress, all but six have been established within an existing U.S. organized incorporated territory. A state so created might encompass all or a portion of a territory. When the people of a territory or a region thereof have grown to a sufficient population and make their desire for statehood known to the federal government, in most cases Congress passed an enabling act authorizing the people of that territory or region to frame a proposed state constitution as a step toward admission to the Union. Although the use of an enabling act was a common historic practice, a number of states were admitted to the Union without one. In many instances, an enabling act would detail the mechanism by which the territory would be admitted as a state following ratification of their constitution and election of state officers. Although the use of such an act is a traditional historic practice, a number of territories have drafted constitutions for submission to Congress absent an enabling act and were subsequently admitted. The broad outline for this process was established by the Land Ordinance of 1784 and the 1787 Northwest Ordinance, both of which predate the present U.S. Constitution. The Admission to the Union Clause also forbids the creation of new states from parts of existing states without the consent of both the affected states and Congress. The primary intent of this caveat was to give Eastern states that still had western land claims (there were four at that time) a veto over whether their western counties could become states. This clause has served the same function since, each time a proposal to partition an existing state or states has arisen. ✪ Will America Ever Have A 51st State? 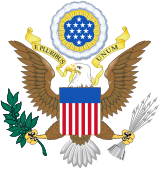 Between 1781 and 1789 the United States was governed by a unicameral Congress, the Congress of the Confederation, which operated under authority granted to it by the Articles of Confederation, the nation's first constitution. The 11th Article authorized Congress to admit new states to the Union provided nine states consented. Under the Articles, each state cast one vote on each proposed measure in Congress. During this period, the Confederation Congress enacted two ordinances governing the admission of new states into the Union. The first such ordinance was the Land Ordinance of 1784, enacted April 23, 1784. Thomas Jefferson was its principal author. The Ordinance called for the land (recently confirmed as part of the United States by the Treaty of Paris) west of the Appalachian Mountains, north of the Ohio River and east of the Mississippi River to eventually be divided into ten separate states. Once a given area reached 20,000 inhabitants, it could call a constitutional convention and form a provisional government. Then, upon enacting a state constitution which affirmed that the new state would forever be part of the Confederation, would be subject to the Articles of Confederation and acts of Congress, would be subject to payment for federal debts and would not tax federal properties within the state border or tax non-residents at a rate higher than residents, and would have a republican form of government, and also after reaching a population equal to that of the least-populated of the established states, it would be admitted, on an equal footing with all other states, based on a majority vote in Congress. Jefferson's original draft of the ordinance gave names to the proposed states, and also contained a provision that "After the year 1800 there shall be neither slavery nor involuntary servitude in any of them." On August 20, 1781, Congress passed a resolution stating conditions under which the Vermont Republic (at the time a de facto but unrecognized sovereign state) could enter the Union. It needed only to give up its claims to territory west of Lake Champlain and east of the Connecticut River. The following February, the legislature of Vermont agreed to those terms. However, Vermont's admission would be delayed for nearly a decade, due largely to opposition from New York, which asserted a disputed claim to the region. On May 16, 1785, a resolution to admit Frankland (later modified to Franklin) to the Union was introduced in Congress. Eventually, seven states voted to admit what would have been the 14th state. This was, however, less than the nine states required by the Articles of Confederation. The would-be state was located in what is today Eastern Tennessee, and within the territory west of the Appalachian Mountains that had been offered by North Carolina as a cession to Congress to help pay off debts related to the Revolutionary War. It continued to exist as an extra-legal state through mid-1788, when North Carolina reassumed full sovereignty over the area. In 1790, when North Carolina again ceded the region, the area that comprised Franklin became part of the Southwest Territory, the precursor to the state of Tennessee. In July, 1788, Congress began deliberations on whether to admit Kentucky to the Union. Kentucky was then a part of Virginia. The legislature of Virginia had consented to the creation of the new state from its western district. However, when Congress began to discuss the matter, they received notification that New Hampshire had ratified the Constitution, becoming the ninth state to do so, causing it to go into effect in the ratifying states. Congress instead passed a resolution stating that it was "unadvisable" to admit a new state under those circumstances and the matter should wait until the federal government under the Constitution came into existence. At the 1787 Constitutional Convention, a proposal to include the phrase, "new States shall be admitted on the same terms with the original States", in the new states clause was defeated. That proposal would have taken the policy articulated in the Ordinance of 1784 and made it a constitutional imperative. Many delegates objected to including the phrase however, fearing that the political power of future new western states would ultimately overwhelm that of the established eastern states. Delegates, understanding that the number of states would inevitably increase, did agree to include wording into this clause to preclude formation of a new state out of an established one without the consent of the established state as well as the Congress. It was anticipated that Kentucky (which was a part of Virginia), Franklin (which was a part of North Carolina, and later became part of the Southwest Territory), Vermont (to which New York asserted a disputed claim), and Maine (which was a part of Massachusetts), would become states. As a result of this compromise, new breakaway states are permitted to join the Union, but only with the proper consents. Shortly after the new Constitution went into effect Congress admitted Vermont and Kentucky on equal terms with the existing 13 states, and thereafter formalized the condition in its acts of admission for subsequent states. Thus the Congress, utilizing the discretion allowed by the framers, adopted a policy of equal status for all newly admitted states. The constitutional principle derived from these actions is known as the equal footing doctrine. With the growth of states' rights advocacy during the antebellum period, the Supreme Court asserted, in Lessee of Pollard v. Hagan (1845), that the Constitution mandated admission of new states on the basis of equality. Historically, most new states brought into being by Congress have been established from an organized incorporated U.S. territory, created and governed by Congress in accord with its plenary power under Article IV, Section 3, Clause 2 of the Constitution. In some cases, an entire territory became a state; in others some part of a territory became a state. In most cases, the organized government of a territory made known the sentiment of its population in favor of statehood, usually by referendum. Congress then directed that government to organize a constitutional convention to write a state constitution. Upon acceptance of that constitution, by the people of the territory and then by Congress, Congress would adopt a joint resolution granting statehood and the President would issue a proclamation announcing that a new state has been added to the Union. While Congress, which has ultimate authority over the admission of new states, has usually followed this procedure, there have been occasions (due to unique case-specific circumstances) where it did not. Congress is under no obligation to admit states, even in those areas whose population expresses a desire for statehood. In one instance, Mormon pioneers in Salt Lake City sought to establish the state of Deseret in 1849. It existed for slightly over two years and was never approved by the United States Congress. In another, leaders of the Five Civilized Tribes (Cherokee, Chickasaw, Choctaw, Creek, and Seminole) in Indian Territory proposed to establish the state of Sequoyah in 1905, as a means to retain control of their lands. The proposed constitution ultimately failed in the U.S. Congress. Instead, the Indian Territory was incorporated into the new state of Oklahoma in 1907. Some U.S. territories existed only a short time before becoming states, while others remained territories for decades. The shortest-lived was Alabama Territory at 2 years, while New Mexico and Hawaii territories both were in existence for more than 50 years. The entry of several states into the Union has been delayed due to complicating factors. Among them, Michigan Territory, which petitioned Congress for statehood in 1835, was not admitted to the Union until 1837, due to a boundary dispute with the adjoining state of Ohio. The Republic of Texas requested annexation to the United States in 1837, but fears about potential conflict with Mexico delayed the admission of Texas for nine years. Also, statehood for Kansas Territory was held up for several years (1854–61) due to a series of internal violent conflicts involving anti-slavery and pro-slavery factions. Once established, most state borders have, with few exceptions, been generally stable. Notable exceptions include: the various portions (the Western land claims) of several original states ceded over a period of several years to the federal government, which in turn became the Northwest Territory, Southwest Territory, and Mississippi Territory; the 1791 cession by Maryland and Virginia of land to create the District of Columbia (Virginia's portion was returned in 1847); and the creation, on at least three separate occasions, of a new state (Kentucky, Maine and West Virginia) from a region of an existing state (Vermont was created from what was disputedly claimed to be a part of New York and was not admitted until New York consented); two large additions to Nevada, which became a state in 1864, were made in 1866 and 1867. However, there have been numerous minor adjustments to state boundaries over the years due to improved surveys, resolution of ambiguous or disputed boundary definitions, or minor mutually agreed boundary adjustments for administrative convenience or other purposes. One notable example is the case New Jersey v. New York, in which New Jersey won roughly 90% of Ellis Island from New York in 1998. In addition to the original 13, six subsequent states were never part of an organized incorporated U.S. territory. Kentucky, Maine, and West Virginia were each set off from already existing states. Texas and Vermont both entered the Union after having been sovereign states (only de facto sovereignty in Vermont's case, as the region was claimed by New York). California was set off from unorganized land ceded to the United States by Mexico in 1848 at the end of the Mexican–American War. ^ Area that Mexico ceded to the United States in the Treaty of Guadalupe Hidalgo in 1848, minus Texan claims. The cession consisted of present day states of California, Nevada, Utah, most of Arizona, about half of New Mexico, about a quarter of Colorado, and a small section of Wyoming. The Act of Congress establishing California as the 31st state was part of the Compromise of 1850. ^ The Virginia General Assembly adopted legislation on December 18, 1789 separating its "District of Kentucky" from the rest of the state and approving its statehood. ^ The Massachusetts General Court passed enabling legislation on June 19, 1819 separating the "District of Maine" from the rest of the state (an action approved by the voters in Maine on July 19, 1819 by 17,001 to 7,132); then, on February 25, 1820, passed a follow-up measure officially accepting the fact of Maine's imminent statehood. The Act of Congress establishing Maine as the 23rd state was part of the Missouri Compromise of 1820. ^ Between 1749 and 1764 the provincial governor of New Hampshire, Benning Wentworth, issued approximately 135 grants for unoccupied land claimed by New Hampshire west of the Connecticut River (in what is today southern Vermont), territory that was also claimed by New York. The resulting dispute led to the rise of the Green Mountain Boys and the later establishment of the Vermont Republic. New Hampshire's claim upon the land was extinguished in 1764 by royal order of George III, and on March 6, 1790 the state of New York ceded its New Hampshire Grants claim to Vermont for 30,000 dollars. ^ On May 13, 1862, the General Assembly of the Restored Government of Virginia passed an act granting permission for the creation of West Virginia. Later, by its ruling in Virginia v. West Virginia (1871), the Supreme Court implicitly affirmed that the breakaway Virginia counties did have the proper consents required to become a separate state. ^ "March 4: A forgotten huge day in American history". Constitution Daily. Philadelphia: National Constitution Center. March 4, 2013. Retrieved October 21, 2015. ^ a b "Doctrine of the Equality of States". Justia.com. Mountain View, California. Retrieved April 5, 2016. ^ a b c Forte, David F. "Essays on Article IV: New States Clause". The Heritage Guide to the Constitution. Washington, D.C.: The Heritage Foundation. Retrieved April 5, 2016. ^ "The Constitution of the United States of America: Analysis and Interpretation, Centennial Edition, Interim Edition: Analysis of Cases Decided by the Supreme Court of the United States to June 26, 2013" (PDF). Washington, DC: U.S. Government Printing Office. 2013. pp. 16–17. Retrieved April 5, 2016. ^ "Report from the Committee for the Western Territory to the United States Congress". Envisaging the West: Thomas Jefferson and the Roots of Lewis and Clark. University of Nebraska–Lincoln and University of Virginia. March 1, 1784. Retrieved April 7, 2016. ^ "Northwest Ordinance; July 13, 1787". Avalon Project. Lillian Goldman Law Library, Yale Law School. Retrieved February 17, 2014. ^ "Northwest Ordinance". loc.gov. Washington, D.C.: Library of Congress. Retrieved April 19, 2016. ^ Horsman, Reginald (Autumn 1989). "The Northwest Ordinance and the Shaping of an Expanding Republic". The Wisconsin Magazine of History. Wisconsin Historical Society. 73 (1): 21–32. JSTOR 4636235. ^ Vasan, Kesavan (2002). "When did the Articles of Confederation Cease to Be Law?". Notre Dame Law Review. 78 (1). ^ "Madison Debates, July 23, 1787". New Haven, Connecticut: Lillian Goldman Law Library, Yale Law School. Retrieved August 20, 2016. ^ Kesavan, Vasan; Paulsen, Michael Stokes (March 2002). "Is West Virginia Unconstitutional?". California Law Review. University of California, Berkeley, School of Law. 90 (2): 395. Retrieved March 25, 2018. ^ "Property and Territory: Powers of Congress". Justia.com. Mountain View, California. Retrieved April 8, 2016. ^ Huddle, F. P. (1946). "Admission of new states". Editorial research reports. CQ Press. Retrieved May 17, 2017. ^ "Museum of the Red River – The Choctaw". Museum of the Red River. 2005. Archived from the original on 15 June 2009. Retrieved 4 August 2009. ^ Winders, Richard Bruce (2002). Crisis in the Southwest: the United States, Mexico, and the Struggle over Texas. Rowman & Littlefield. pp. 82, 92. ISBN 978-0-8420-2801-1 – via Google Books. ^ Greenhouse, Linda (May 27, 1998). "The Ellis Island Verdict: The Ruling; High Court Gives New Jersey Most of Ellis Island". The New York Times. Retrieved August 2, 2012. ^ Riccards, Michael P. (1997). "Lincoln and the Political Question: The Creation of the State of West Virginia". Presidential Studies Quarterly. 27 (3): 549–564. Retrieved April 5, 2016 – via Questia. ^ "California Admission Day September 9, 1850". CA.gov. California Department of Parks and Recreation. Retrieved April 5, 2016. ^ a b "Official Name and Status History of the several States and U.S. Territories". TheGreenPapers.com. ^ "Today in History – March 15: The Pine Tree State". Washington, D.C.: Library of Congress. Retrieved April 5, 2016. ^ "The 14th State". Vermont History Explorer. Barre, Vermont: Vermont Historical Society. Retrieved April 5, 2016. ^ "Today in History – June 20: Mountaineers Always Freemen". Washington, D.C.: Library of Congress. Retrieved April 5, 2016. ^ "A State of Convenience: The Creation of West Virginia, Chapter Twelve, Reorganized Government of Virginia Approves Separation". Wvculture.org. West Virginia Division of Culture and History. Retrieved April 5, 2016. ^ "Virginia v. West Virginia 78 U.S. 39 (1870)". Justia.com. Mountain View, California. Retrieved April 5, 2016.